THE CYNTHIA WOODS MITCHELL PAVILION IN THE WOODLANDS ~ 2nd IN WORLD! If you have ever visited The Woodlands, Texas you most likely have visited or have seen The Cynthia Woods Mitchell Pavilion! Located right in the downtown district of The Woodlands, the Pavilion is a state-of-the-art outdoor theater that hosts some of the top performers in the world! A true hot-spot in The Woodlands, we are proud to have this facility! Just recently the Pavilion was named as the #2 in the world by Pollstar magazine out of 100 ampitheatres! This ranking is based on the number of tickets sold for the past year. The Pavilion had ticket sales of 390,808 for 2012! That is an amazing number! I have been to many concerts and events in our beloved Pavilion. Some of my favorites this past year was the Jimmy Buffet concert, The Beach Boys, Chicago, Doobie Brothers and Santana! All were excellent and so much fun! One of the greatest aspects of the Pavilion is its location in The Woodlands. The Waterway runs just alongside allowing you to take the trail down to Waterway Square where many great restaurants are. Also, Market Street is just across the street and the Mall is right there as well. Being able to have dinner at one of our fine Woodlands Restaurants and then just stroll on over to the Pavilion is a plus! If you are ever in our area, make sure you check out the concert schedule and visit the Pavilion. The Woodlands is a great place to live, work and play! 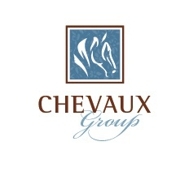 If you decide you love it here, contact us at Chevaux Group! We are your Woodlands real estate experts and we want to assist you with your next real estate transaction!